Do we at BangShift get excited over a Porsche? Meh. We appreciate the classics and the history of the brand, and laud the company’s accomplishments, but Porsche usually stands for two things to us: collector-car types and track-day dads. We have more experience trying to not get hit in traffic by a Cayenne Turbo than we ever will mastering the art of high-speed cornering in a “Widowmaker”. Porsches are to be driven to be seen in, to baby over, and to appear like you did something right in life. Not exactly our bag. “Future model”. Hmm…interesting. 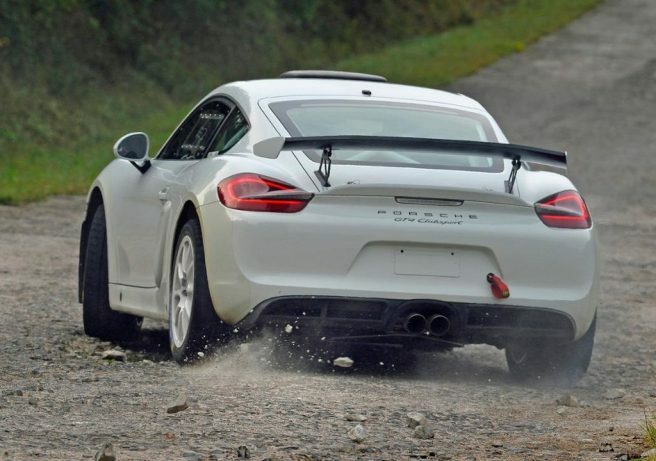 Hopefully Porsche pursues this properly…there’s plenty of history of 911s playing in the dirt to support bringing out a new factory-built race car. Track day stuff is one thing, but Bob from accounting might wear the brown pants to work if he had to sit in the passenger seat of this Cayman. 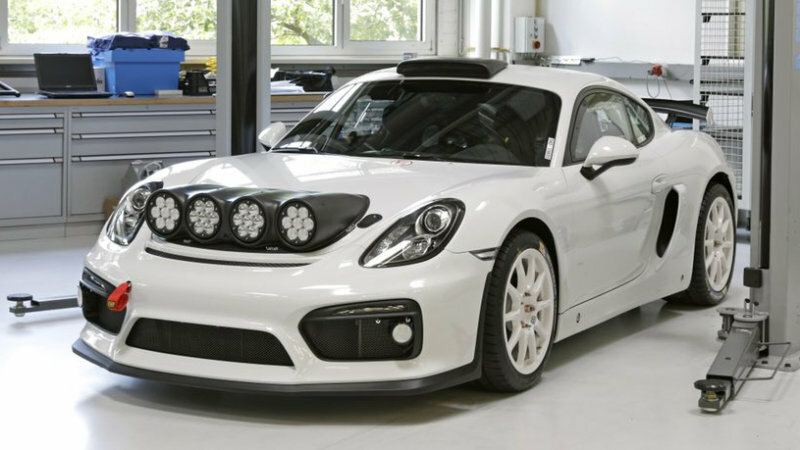 For that alone, Porsche, please make this happenPle.